One of the most wonderful things a parent can do is read aloud a favorite book from their own childhood. 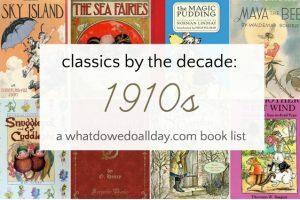 Here you will find classic book lists for every decade of the 20th century, from The Wizard of Oz in 1901 to The Watsons Go to Birmingham in the 1990s. 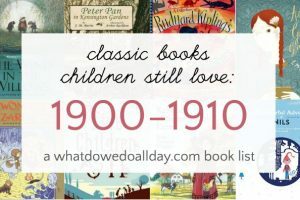 These classic book lists are filled with must read chapter books to share with your kids. There are plenty of lesser known titles, as well as popular books so you are sure to find something new in addition to well-loved favorites. 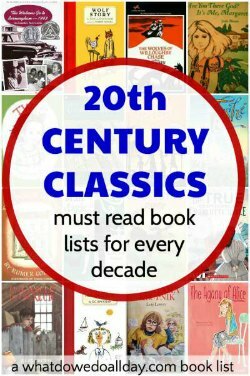 For more classic books see our general classic books archive, or visit our index of over 100 book lists for kids.